The relationship between an employer and an employee is a vital one that affects the entire work environment. At Carters Professional Corporation, we have experience in representing both employees and employers with a diverse range of employment law matters. Our employment lawyers can assist with negotiating and drafting employment contracts, preparing workplace policies and procedures, and informing employers of their statutory and common law duties with respect to their employees. There may also be issues with respect to the legal obligations of employers under human rights laws, and our lawyers are able to educate and advise employers about their duties in that regard, and can assist in negotiating a result that achieves our clients’ goals. Our employment lawyers can also assist with issues such as wrongful dismissal claims, negotiating termination packages, human rights complaints, and harassment claims. Our employment lawyers are knowledgeable about the applicable legislation, including the Employment Standards Act, 2000, and Ontario Human Rights Code. 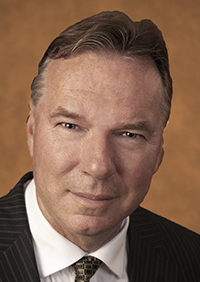 Barry W. Kwasniewski practices employment law at Carters Professional Corporation. You may contact us by e-mail at bwk@carters.ca or by telephone at 613-235-4774. Carters has published many bulletins and articles in the area of employment law, including regular monthly articles in our Charity Law Update newsletter. Please see the main publications section of our website for more listings or sign up for our newsletter. By Barry W. Kwasniewski, Charity & NFP Law Bulletin No. 431, September 27, 2018.